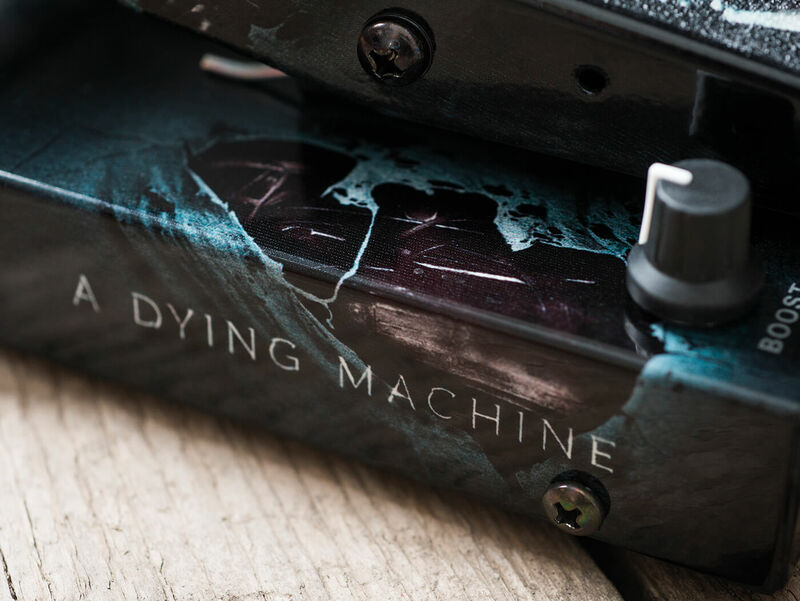 The Tremonti features the artwork from his fourth solo album A Dying Machine, while the rather more understated look of Sixx:A.M. guitarist DJ Ashba’s wah is balanced by the fact that the whole thing is clad in a bone-white finish that incorporates Morley’s ‘Glow In The Dark Coating Technology’. 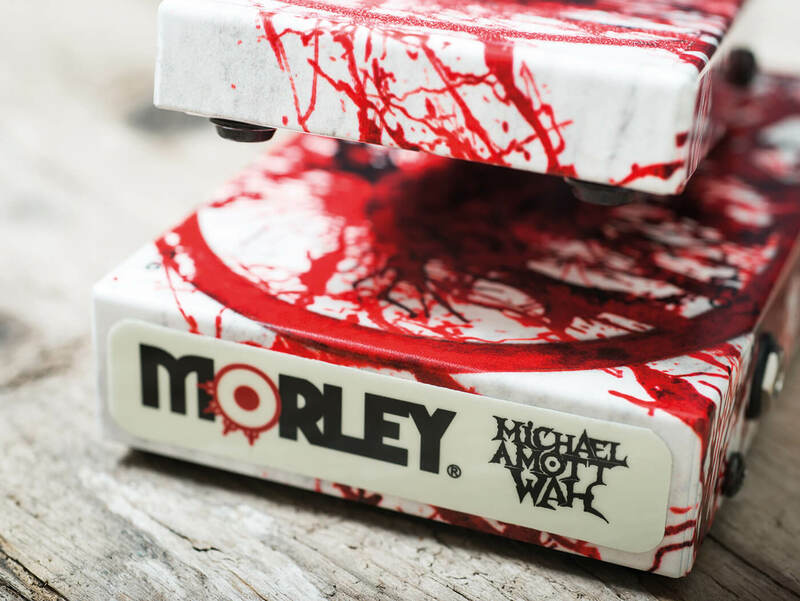 There’s nothing subtle about the blood-splatter livery of metal legend Michael Amott’s pedal, but it’ll appeal heartily to its target audience. All three feature sprung treadles, a concept that does away with the need for an on-off switch; simply pressing downwards activates the effect that itself is generated not with a traditional mechanical potentiometer, but via Morley’s electro-optical circuit. Each also offers what’s described as ‘true tone bypass’ when the effect is disengaged, while the Ashba unit comes with an internal trim pot for adjusting output level and the custom MQ2 inductor. This obviously involves unscrewing the pedal base and the use of a small screwdriver to adjust the trim pot itself, which proves rather fiddly. ‘Set and forget’ is definitely the best approach. The Tremonti also gives the option of adding up to 20dB of clean boost to the effected sound, with a control potentiometer mounted on the bottom-left of the chassis allowing you to dial in as much or as little as you require to help those solos and riffs to cut through. Power for each pedal comes from either a battery or an optional nine-volt supply and, needless to say, all three are built to survive the rigours of the road. The tension in the treadle springs is ideally set and, to aid playability in the heat of battle, the treadles’ top surfaces are fitted with slip-proof patches. The Tremonti and Amott have been voiced for use with high-gain tones and work well in that arena. The Amott certainly has a peak frequency set within the lower bandwidths, producing a Schenker-like honk in full toe-down position rather than anything more piercing, and adding the merest touch of wah constricts the high end to give huge chords dollops of earth-shattering ‘oomph’. While it’s genuinely excellent for ultra high-gain styles, the Amott is underwhelming when used clean. That said, with the choice of more traditionally voiced wahs bigger than ever these days, we’d be surprised if any player wishing to ape classic funk and disco licks would be drawn to a wah with such an overtly grisly aesthetic. Tremonti often uses his wah for solos and in addition, the boost can be used to add colour and drive to a metal rhythm tone. However, it’s far more suited to its primary function – adding volume to solos. High-gain rhythms benefit from the wah’s cut and the menace of Mark’s trademark downtuned riffage can be further enhanced by using just the first third of the treadle’s downward arc. Used clean, the boost function is more apparent and, if you can keep the treadle in the sweet spot, it’s possible to add an unusual dry character to arpeggiated chords that sounds great, especially when sweetened with modulation. Of the three, it’s the tonal sweep of the Ashba Skeleton that we found to be the most versatile across different genres and although it’s not ideally suited to percussive funk rhythms, it’s closer to this classic wah-wah ballpark than either the Tremonti or Amott. It’s just at home with classic-rock tones as it is with metal sounds, too – and yes, it really does glow in the dark. 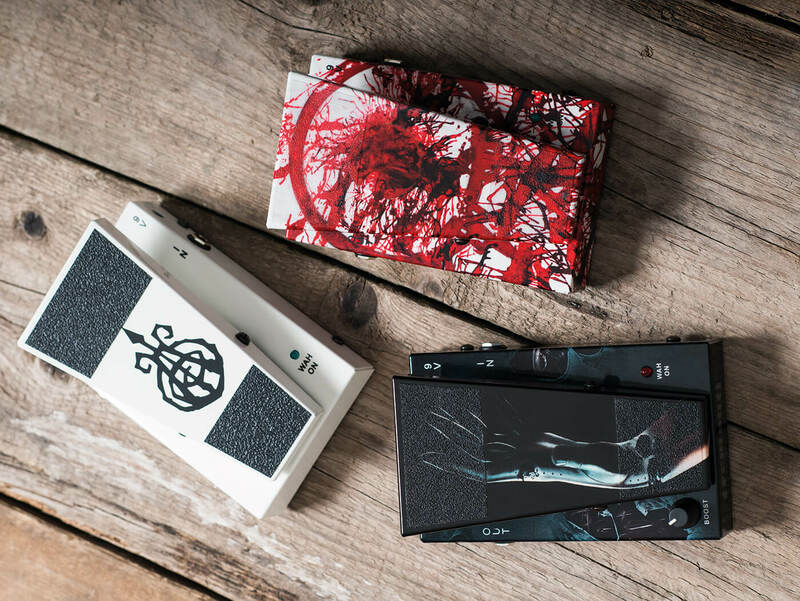 Each of these units is suited to different rock and metal styles and, when considering the purchase of any wah, players will need to make their choice carefully. The differences in their tones can be subtle at best, but if you are considering dropping the lion’s share of £300 on the Tremonti, you’ll need to be pretty certain it’s for you. That both the Tremonti and the Amott are best suited to high-gain metal tones is beyond question and, if that’s your preferred playing style, you’ll get a great deal out of either one of them. The Tremonti’s clean boost has more scope for use across the board, while the blood-splattered finish of the Amott will leave your audience in little doubt as to your allegiance. If we were to take just one of these three rock-ready units home, though, we’d opt for the DJ Ashba Skeleton. Not only is it the most versatile in its operation, we also found its sweep to be the friendliest to the ear and, if that wasn’t enough, we love that it glows in the dark and it’s the most affordable, too. 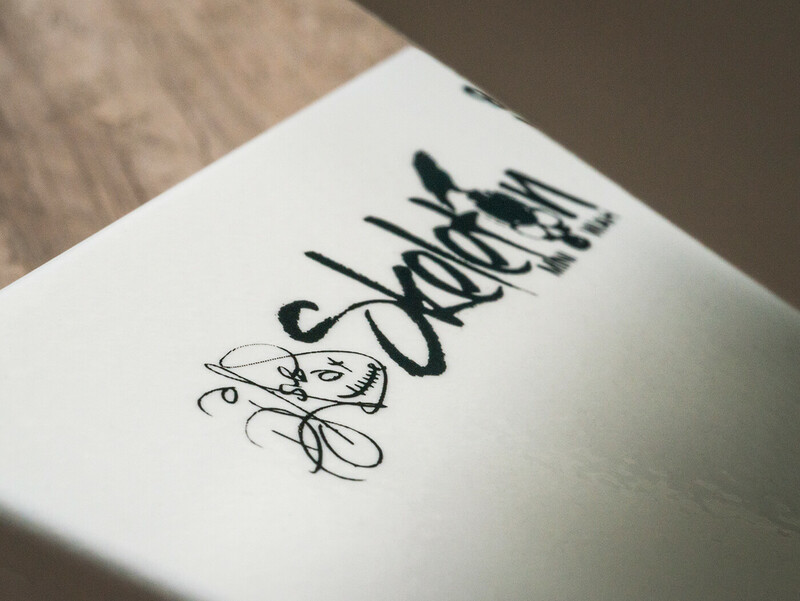 Although in each instance the price of admission is high, all three are robust and solidly made pedals: just remember they’re all limited editions, so you’ll need to be quick before they all sell out. VERDICT Sounds good for disparate styles and also illuminates the rest of your pedalboard!